If you go down to the woods today, y******ou better not go alone . . . When Tom's body is found, displayed with grisly relish, Helen Grace takes the case. 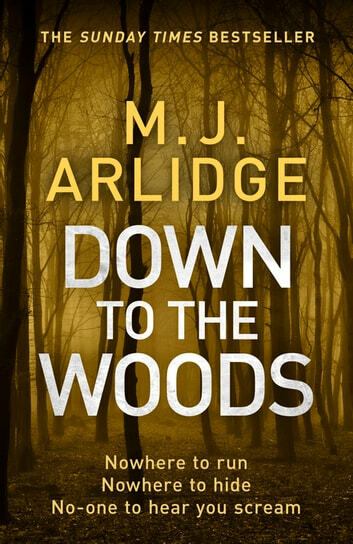 But before she can catch her breath, a second victim is taken - there's a serial killer on the loose. Something dark and deadly stalks the forest. Helen and her team must race against time to catch the perpetrator, before more blood is shed. 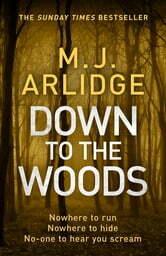 But the hunt will take Helen back into the eerie twilit woods - and this time she might not make it out alive. I was delighted at the opportunity to read this novel as I’ve followed the series all the way through. It was good to catch up with DI Helen Grace, her side-kick, Charlie and the irrepressible Emilia, the journalist. This book introduces the handsome Joseph Hudson to the team. Helen Grace is damaged by childhood experiences, conscience over past cases and she has extraordinary methods of atonement for past events. This book doesn’t stop for breath. In the New Forest, a killer is using a cross-bar to kill his victims. On the surface, it would seem a simple matter to locate a local man with a cross-bar who makes the bolts because the weaponry is so unusual. Wrong. He is elusive, and the team are baffled. As the reader, you get the graphic horror and full sense of terror of the victim in the first brutal killing. It is chilling and elaborately staged to maximise fear in the victim. What is driving the killer to commit these gruesome murders? Is there a reason or is it random? Halfway through I was certain I’d identified the killer, only to discover I was mistaken. How infuriating is that? That’s what it must feel like for the detectives. It struck me forcibly that it must cost a fortune to research so many lines of enquiry, test for DNA etc. and the logistics of apprehending an elusive killer. But, the devil is in the detail. A dynamic, punishing end which reveals the strength, determination and dedication of the team. Thank you to NetGalley and Penguin UK - Michael Joseph. Super spannend, je leest het echt in een adem uit. Fantastisch boek als je er aan begint kan je het niet meer wegleggen. Even if it's book #8 in the series, I just can't get enough of Helen Grace! It's dark, creepy, but also heartbreaking. And I still can't stand Emilia Garanita. Ugh! I wish, someone would teach her a lesson, so she leaves the police alone to do their work. Five stars and I can't wait for more. Well written with well defined characters and plenty of action. Relationship with ds hudson a bit weird didn't quite ring true. Helen can't be that hardened, surely!